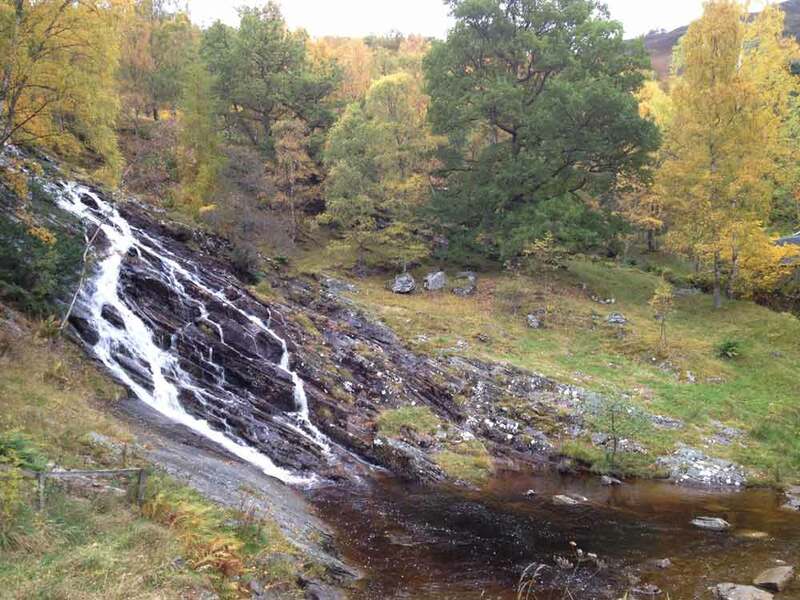 Beautiful Rannoch glen, a paradise for walkers, with amazing views of Schiehallion and the Glencoe hills in the west. Walk in the ancient Black Wood on the south side of Loch Rannoch with marked trails or hire a bike from Free Spirits at the Marina. Loch Rannoch is a spectacular loch over 10 miles in length and is home to pike, brown trout and arctic char. Get a fishing permit at shop or hotels. 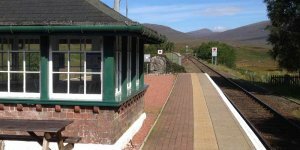 Rannoch Station - Take the train from beautiful and remote Rannoch Station on the West Highland Line and visit Fort William, Mallaig or Glasgow. The train travels through some of the best scenic areas in the world, starting with the bleak and spectacular Rannoch Moor. You buy the tickets on the train as no ticket office at the station. See timetable in Getting About. Recommended : The Fish Market Restaurant or the Cornerstone Restaurant overlook the harbour at Mallaig if you like delicious fish. 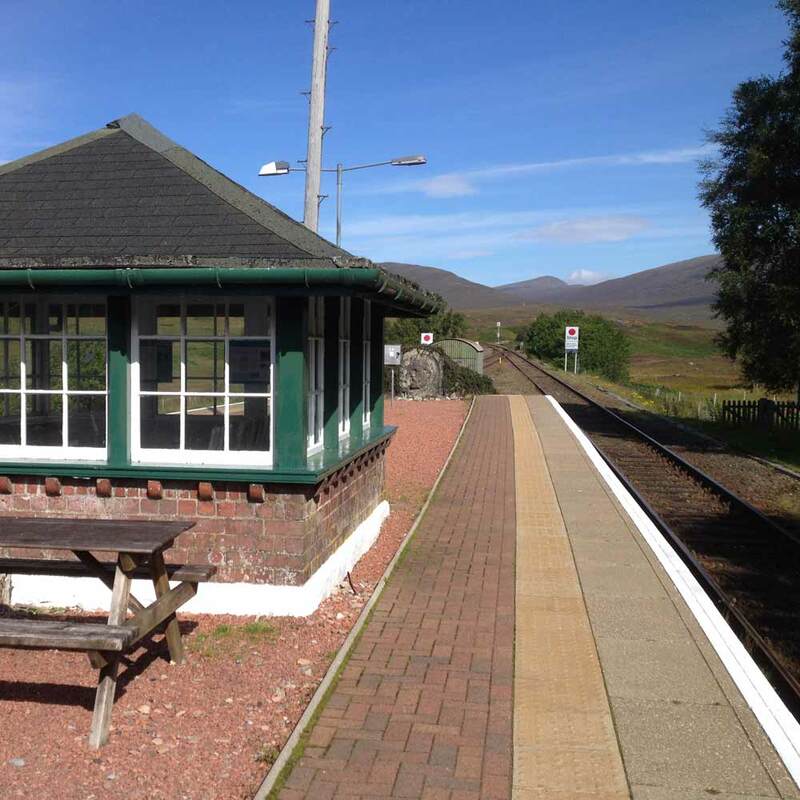 The lovely Tea room at Rannoch Station is open from March to end October. 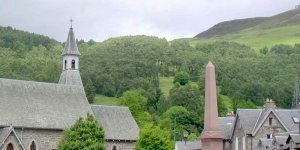 Clan Donnachaidh Museum - history of the local Robertson clan. 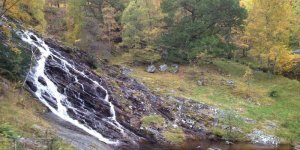 Falls of Bruar - wooded walk past waterfall and stone footbridge. House of Bruar. Village - visit two folk museums, a working water wheel with bakery or hire a mountain bike. Blair Castle - Dating from 1269, the castle has been the home of the Atholl family for over 700 years. You can walk through 30 fully furnished rooms of infinite variety. Outside the skirl of the pipes can be heard most days during the season. Interesting and attractive grounds and walled garden to walk in. National Trust for Scotland Visitor Centre - beautiful wooded gorge near site of Battle of Killiecrankie 1689. 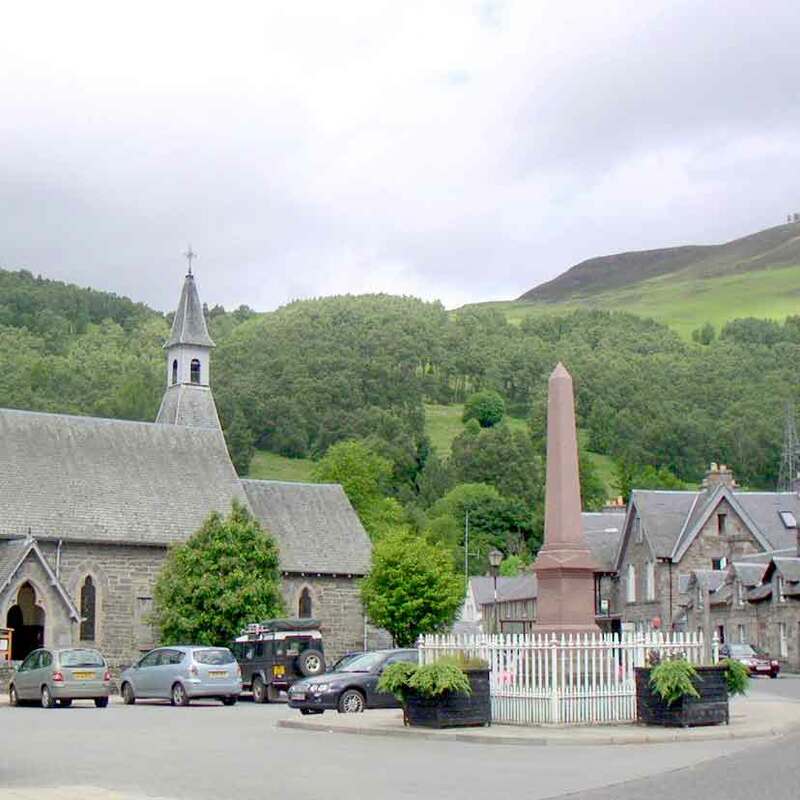 Plenty of shops and Pitlochry Festival Theatre, 'The Theatre in the Hills', is only 30 minutes from Kinloch Rannoch. For further information, contact the Box Office at 01796 484626. Some really excellent productions. Highly recommended. Bell's Blair Athol Distillery and the quaint Edradour distillery. Hydro-Electric Visitor Centre and Fish Ladder - visit Pitlochry dam and watch the salmon pass through the fish pass. Dunkeld Cathedral - ancient building in picturesque setting of beautiful old town by the river. Some of the small houses here are owned by the National Trust of Scotland. Some interesting small shops and a gallery or two. Well worth a visit. Clay shooting with high quality instruction, 4 x 4 Driving, etc. at Hilton Dunkeld House Hotel - Activity Centre. Several places for having a good lunch. The Watermill Bookshop & Gallery - "In May 2006 we won the award for Scottish Independent Bookshop of the year. This award was based on stock range, customer service and events programme. Our stock range of books is the largest in the rural Highlands." Good coffee shop. Recommended. The Birks Cinema an new, independent cinema showing a varied selection of current films including, sometimes, opera direct from great opera houses of the world, and plays from the National Theatre in London. Scottish Crannog Centre - situated on the shores of Loch Tay, the Crannog Centre's exhibition takes you back 2,500 years to the time of the Crannog dwellers. Travel back in time for a truly fascinating glimpse of Iron Age loch life and ancient crafts. Strongly recommended and children welcomed and encouraged to have fun. One of Scotland's longest enclosed glens and one of the most beautiful. High hills, lovely river and peaceful walks. Between Tummel Bridge and Killiecrankie - Forestry Commission's Queen's View Centre - this is possibly the most famous view in Scotland. Visit the exhibition audiovisual display. Tea room open year round. Perthshire has some of the most remarkable trees, woodlands and country gardens in Europe and is stunning at any time of year. Just a short trip from Dunalastair can take you to Europe's oldest tree, the world's highest hedge, the sole survivor from Shakespeare's 'Birnam Wood' ... and it doesn’t stop there. Scottish Plant Collectors Garden - next to Pitlochry Festival Theatre this gerden celebrates the work of early Scottish plant collectors. Bells Blair Athol distillery - Visitors Centre in Pitlochry. This is one of the oldest working distilleries in Scotland. Edradour Distillery, Pitlochry - currently the smallest distillery in Scotland, offering free tours. Through the mountains, heading into Inverness-shire, there is Newtonmore, Kingussie, Carrbridge (the Landmark Forest Theme Park - with wild water coaster, giant adventure playground, treetop trail, steam powered sawmill, microworld exhibition, mini cars, remote-controlled trucks, fun maze, shop, restaurant and snack bar. Excellent for children) and the Highland Wildlife Park, part of Edinburgh Zoo, near Aviemore, Grantown on Spey and Boat of Garten with their steam trains and Inverness. there is Crieff, Rosemount and the famous Gleneagles Hotel. St Andrews, the home of golf, is an hour and a half's drive away to the south east in Fife.